Guess who's back for a new Third Movement clash? 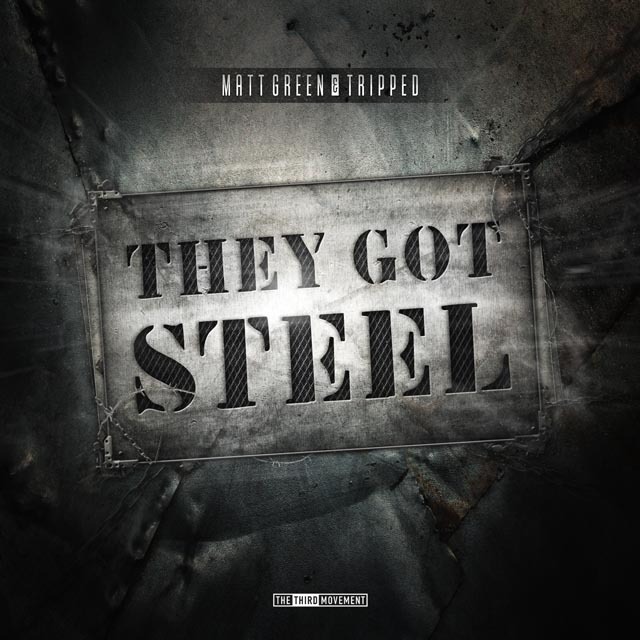 It's Matt Green, backed up by Belgian industrial terrorist Tripped : They got steel! A North Sea spanning combination delivering clean but shattering kick drums in all sort of shapes and sizes. Matt Green teamed up with Tripped for a full-on clash of styles. Nothing less. Forced to merge their sounds, the result is a straight shot from fade in to end. 'They got steel', 'Human ritez ', and 'Not this' all bear that dirty unpolished sound you've come to expect from these guys. And when they combine their skills, the result gets that little extra. Extra heavy kicks! Bringing a final finish, Tripped grabbed the opportunity to remix Matt Green's ' We Do Not Lose'. With the original mix nothing short of energy, this rendition goes the extra mile. And proves that the legendary wall of sound is indeed an industrial affair. Beware of impact when these ear drum piercing torture devices are freed. This is high-grade steel! A distorted quality you can count on.